Life Lately #2. In case you missed what these posts are all about, I introduced the new series a few weeks ago here. Basically I’m sharing tons of photos that don’t really have to do with recipe sharing. And not always to do with food. BUT obviously this one’s a little different and it’s pretty much all food. Just without the recipes. ? I was able to fly out to Minnesota and attend a photography workshop a few weeks ago. It was one of the most amazing experiences! When I started this blog, I loved sharing the recipes and dreaded the whole photography part. Over the weeks and months of working on this site, I came to love the process of styling food, taking pictures of it, and editing those pictures. But to be honest, it’s also been a frequently frustrating experience. I’m 100% self taught and have spent hours googling things, reading photography books, and practicing which has still left me with dozens of questions. I’ve often thought it would be so helpful to watch someone take food photos. ENTER this photography workshop. For years now, I loved Lindsay’s (Pinch of Yum, teacher of the photography class) photography. As soon as she announced she’d be teaching photography classes I emailed the husband and said “I HAVE TO GO TO THIS!” And, yes, the email was all in caps. Then I was ever-so-kindly reminded of my ginormous 8-month pregnant belly and that the dates of the workshop were right around my due date for Bentley. ? Fast forward to the next set of workshops and my big preggo belly had become the cutest little guy you’ve ever seen and I was planning a trip to Minnesota! Getting to watch Lindsay photograph, style, edit, and talk through her decisions on photoshoots was such an eye opening and incredible experience. I learned so much and gained a new desire to improve and work harder on my photos! Lean to appreciate others’ photography without having to make it “your photography.” This was HUGE for me. I often times see food photos and want to have that same look even though it isn’t my style. Lindsay encouraged us to find our style and stick to it. That doesn’t mean you can’t try different things, but you shouldn’t be trying to mimic every type of photo you like. Recognize the difference between needing a certain photography look for your BRAND versus simply appreciating certain photography from far that doesn’t fit your brand message. Once you accept that you can appreciate photography without trying to mimic it, it frees up time for you to discover your unique brand and the look you are working towards achieving. Study and discover how to create the photography you love. Lindsay encouraged us to find the TANGIBLE things that are different between our photography and the type of photography we love or are aspiring to create. Create a Pinterest board for photography inspiration and a board of your own photography. Compare the differences and make a list of tangible things you are missing or could implement to create the look you are hoping for. Refer to this list frequently. View “food styling” as a part of the actual recipe creation. As you are creating recipes, think “what will make the food LOOK desirable and appealing?” As you are developing recipes see if it actually looks good. If it tastes good, that’s fantastic, but what can you do to make it also look delicious? You can then potentially make slight changes to your recipes based off of the end visual appearance of the food. Along with this note, where does the food look its best? Is it in the preparation stages or in the plating stage? Does it look best tossed with dressing or before it has the dressing added? Better in the pan or on a single plate? Recognize how you want to show off the recipe by where it looks best during the creation of the recipe. Add sensory elements. Well-styled food can sometimes appear flat or static. So, how can you add life to photos? By adding sensory elements that help the viewer “hear” “smell” “feel” the food. This is done with steam, bubbling, smoke, water droplets, sizzling, crumbs, a bite/slice taken out of the food, etc. Lindsay does an incredible job of making you feel like you are in her kitchen watching her cook. Her photos have sensory elements and movement (forks, spoons, hands, etc.) that bring life to her recipes. Look at the food with your eyes first. I tend to create a recipe and then instantly start snapping away with the camera. But our eyes catch a bigger picture. Take a good look at the food. Study how the light is hitting it and where the light makes it look best (move your plate around for a minute until you see where it looks best in the light). Walk around the food and your set-up. This saves so much time and allows you to see quick things you can fix before wasting time taking photos you won’t end up liking. Slow Down. I’m a mom of two wild little boys and sometimes all I have is a few minutes to snap a few shots of the recipe. However, when we take our time and slow down we can really create art through food photography. By being very intentional with the food that has been created you are able to see it in different ways. You’ll be able to style the food better, compose a more meaningful shot, and interact with the food more intentionally as if you were actually sitting down to enjoy the food. Props, textures, and backgrounds are very important. The props and backgrounds you use with your photos tell a story. So what story do you want to tell? Napkins can quickly add texture and color. Silverware adds shine and shapes. Neutral plates and bowls allow the food to be the true focus of the photo. Never invest in a prop, texture, or background without asking yourself, “Does this fit my brand message?” (Does this match the style I’m trying to achieve? The message I want to convey?) Once you have your “key pieces” that share your brand message you’ll be able to more easily compose a shot and style your food. You don’t need a ton of props and backgrounds to have good food photos. In fact, Lindsay is one of the best examples of this. 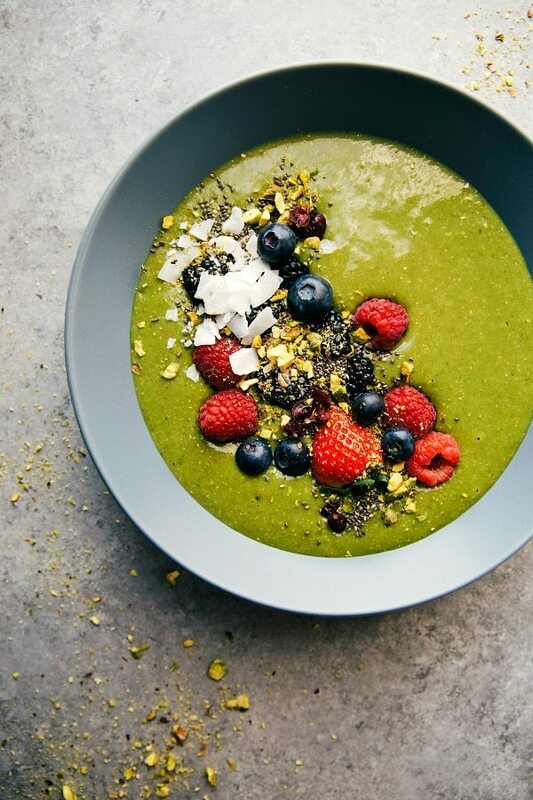 She’s a complete minimalist in her photos and the food is what shines through. BUT the few props and backgrounds she consistently uses allows her story of the food to be told. It also illustrates a cohesive brand message. SO fellow food photography enthusiasts: If you are considering attending one of Lindsay’s photography workshops, I can’t say enough good about it. It has totally reset the way I view food photography and motivated me to improve and continue to learn. 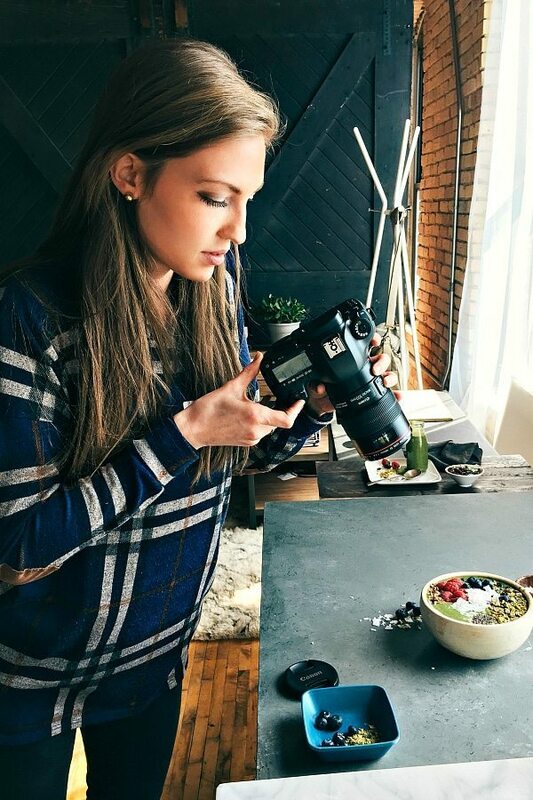 Lindsay is completely transparent and tells you everything she does to achieve the look she creates for food photos. She’s an excellent, concise, and very clear teacher. Not to mention totally hilarious and fun. The workshop is extremely well-organized, the food is delicious (cause let’s be honest, that’s super important to us food photographers right?! ), and the studio is a dream atmosphere. Lindsay has hundreds of props, surfaces, linens, etc. She’s also very available for one-on-one help and any questions you have. I had questions answered that I’ve wondered about the entire time I’ve been taking food photos. This workshop was worth every penny and more. Whether your a beginner or more advanced, I’d recommend these workshops to anyone that wants to up their food photography game. Or if you just want to live in theee most gorgeous studio for a couple days ? If you want some more info on the workshops, check out this registration page. AND, if you’re looking for a little discount code, use “chelsea” to get $25 off your purchase price (only applies to General Admission tickets). Thanks for the tips! I am so jealous would LOVE to go to Lindsay’s workshop but its a little too far from Perth, Western Australia. Love her photos and yours! I recently read your book & found it incredibly inspirational! Thanks! Of course!! 🙂 Oh man that would be quite the flight!! We lived in Perth for a bit and I miss it like crazy. Such a gorgeous place! But a very long flight to the states for sure! I’m thrilled you’re enjoying the book. Thanks for the kind comments Shanai! Thanks so much for sharing what you learned with Lindsay. I would love to go to one of her workshops but until then thanks for the tips! She’s an inspiration to all of us. Your photos are gorgeous too. You bet!! Isn’t she amazing? Thank you so much Karen! Wow Chelsea thanks so much for sharing! I’ve definitely contemplated attending the workshop but timing isn’t working out right now. Its nice you’ve opened up about your struggles a little because looking at your blog you’d never know! Your work is amazing. I’ll definitely have to look into the workshops come Fall. Thanks again for sharing your tips! Super helpful. Great post Chelsea! The tips you shared reaffirm my goals to go to one of her workshops! You both are an inspiration to me as I started my own food blog in February of 2016 and am trying to improve my photography. Thanks! Thank you so much Megan; that means a lot to me! 🙂 Congrats on starting a blog recently! I hope you are loving it! chels! this is on my MUST ATTEND list. I just love you ladies and how amazing your work has been and developed into. EVEN more impressive. But what I see the most valuable from you and lindsay is the willingness to support, love, encourage, and teach each other. Thank you for sharing your tips from Lindsay’s photography workshop, attending is on my bucket list too. I found your blog through Food Blogger Pro and your podcast with Bjork. You have helped inspire and re focus me with my blog. I also purchase your ebook, “How I Made 40K My First Year of Blogging” immediately after listening to the podcast. Thank you for sharing your story and wealth of information! Thank you so much for your comment Jane! I really appreciate it 🙂 I hope you love the book! Loois like fun and may also help video producing w/ food… appreciate the sharing!!! Thank you so much for this very informative article. You’re photography is amazing! I am also ‘self taught” but my concentration is all about makeup and health. Many of your suggestions can definitely be used for others who are interested in other topics!! Plus, your recipes are AMAZING! Keep up the good work! Thank you so much for this very informative article. You’re photography is amazing! I am also ‘self taught’ but my concentration is all about makeup and health. Many of your suggestions can definitely be used for others who are interested in other topics!! Plus, your recipes are AMAZING! Keep up the good work!